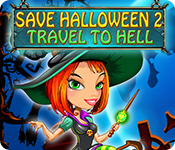 Save Halloween 2: Travel to Hell is rated 3.3 out of 5 by 16. 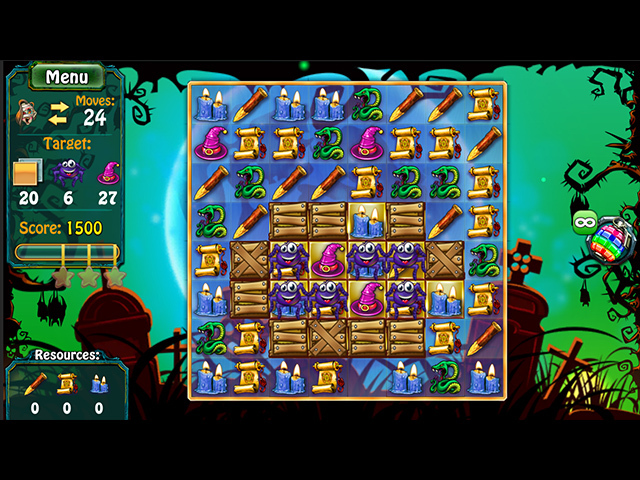 Rated 5 out of 5 by deddu from CLEVER GAME I realize Halloween is over but if you like match 3's this is a good one. Not sure why all the negative reviews. You can play timed or relaxed. I tried the relaxed. You get all types of power-ups and you can also buy them. Rated 5 out of 5 by Daisy5555 from I love this game I like this game for cute graphic and fantastic atmosphere! Time mode is thing for me, but if level is too hard, and I can't pass it several times, I turn on relax mode. So I can attune game for me as I like to play! Rated 5 out of 5 by 1955raven from SAVE HALLOWEEN 2.............. EVEN MORE FUN THAN THE FIRST ONE, I LOVE THAT ONE TOO!!!! Rated 4 out of 5 by 5Patti from Fun Game This is a fun game. 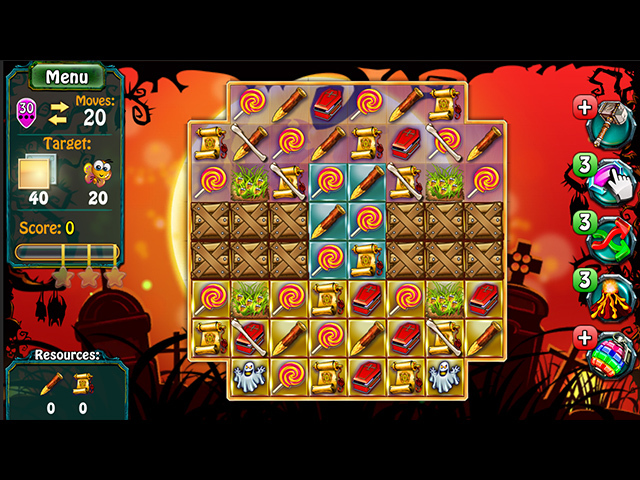 A little difficult to master some of the powerups, but once you play a little you get the hang of it. There is a relaxed mode. My only complaint is that there is no place to register as a player (your name), so that others in the household can enter name and play when you are not (thereby saving your place in your game). Rated 3 out of 5 by Audreyfavre from timed for every level??? They changed this to timed mode for each level. Big mistake. Rated 3 out of 5 by sissyboober from Really Ticked OFF!!!! I bought this game about a week ago and LOVED it! 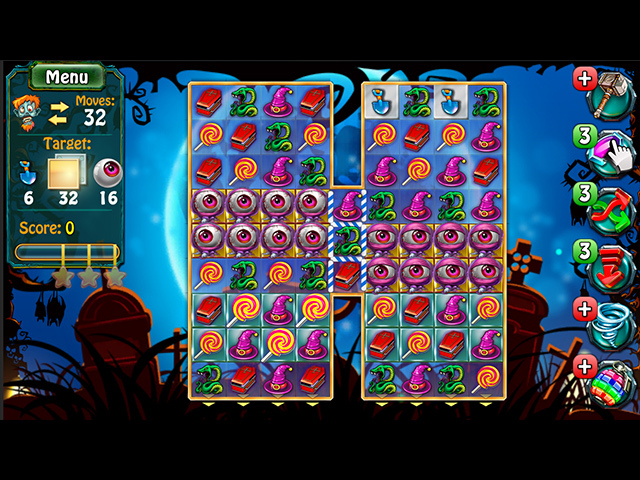 It had a choice of Limited moves(which I love) or relaxed.Then BF sent an update "to fix problems" with the game. Now, the limited moves option is GONE and you have a choice of Timed or relaxed. I do NOT like either and would NOT have purchased the game. Rated 3 out of 5 by compcrzy from Not the same as City of Witches This game does have a relaxed mode under options, which I was pleased to find. However, I have to agree with the others that this game is seriously lacking the fun factor that Save Halloween: City of Witches has. You don't get to decorate your house and there are no real challenges to deal with. I played the demo for about 15 minutes and gave up because it's really too easy and nothing like the original.